I’m fairly new to the #pingame, but I’ve learned a lot! 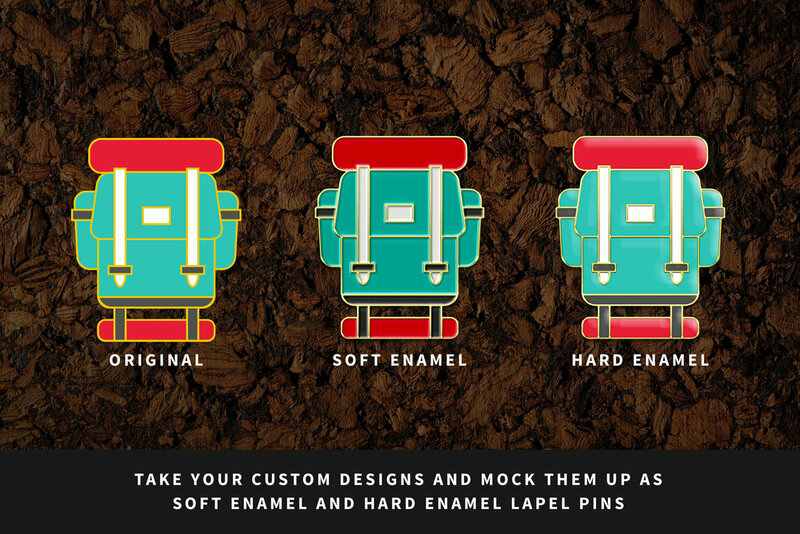 I’m going to share with you what I’ve learned when it comes to creating, funding, producing, marketing, and selling your own enamel lapel pins. Have you found yourself dreaming in enamel? Don't have a clue where to start? Let me help you out! 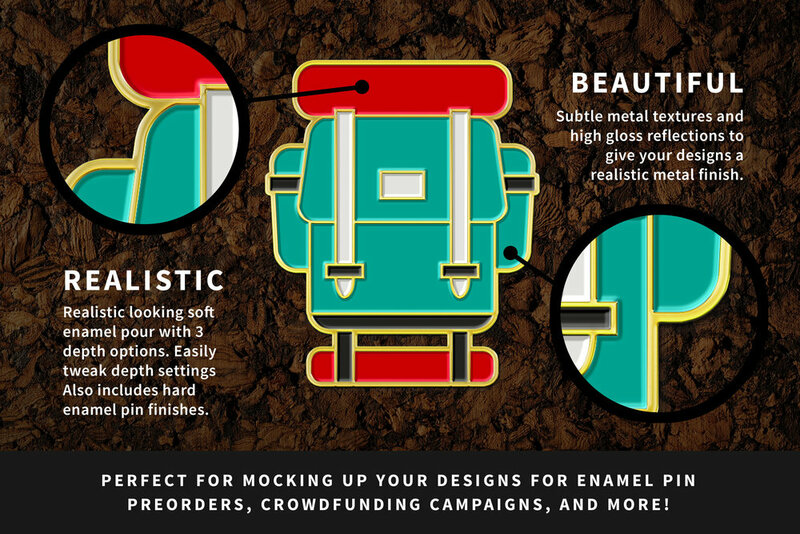 My experience with enamel pins started with Kickstarter. 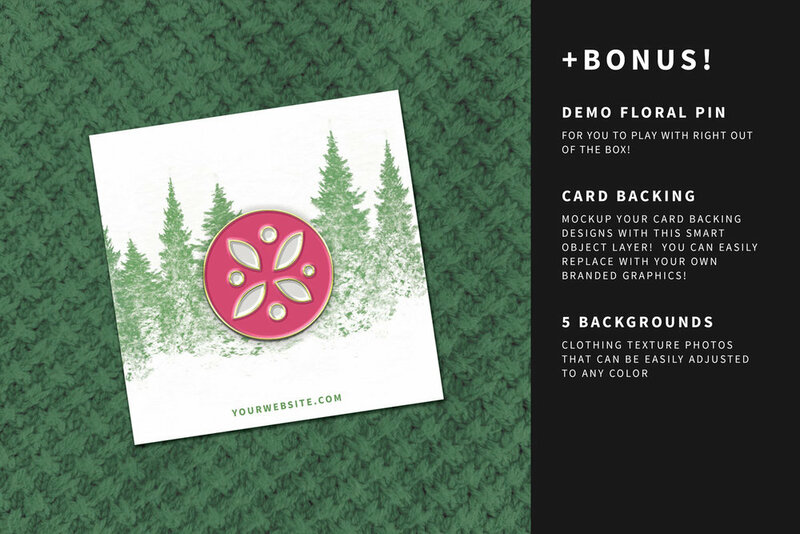 I illustrated and designed my own enamel lapel pins, created a Kickstarter campaign, and successfully funded that campaign! I get a lot of questions about my Kickstarter campaign and if I have any tips or advice to offer to individuals looking to start their own Kickstarter campaign. If you want to get straight to the guide, go ahead and scroll to the bottom! Spend the extra time and effort to make your campaign look good! This helps tremendously! You need to present yourself and your project professionally. People are investing their money in your project and your idea. When you present yourself professionally, you help build a trust that you will deliver. I found a free mockup for muslin bags and I mocked up my pin to look to-scale. I built the Enamel Pin Foundry Toolkit to help designers present their work in the best light possible. Available on my site or on Creative Market. 2. PROMOTE! PROMOTE! PROMOTE SOME MORE! Every day or every other day! Re-share on Facebook, Twitter, Instagram Tumblr. Be ready to seriously devote your time to promotion. One of the biggest tips I could give you would be to join a couple enamel pin related Facebook groups and share your campaign there. Go ahead and sign up with Buffer and schedule your posts at high traffic times. I got a lot of pledges from those. Don't post the exact same thing! Change it up. Post images of your reward tiers. Post about your early bird tiers. Post an update to your current backers and encourage them to share! Post EVERY DAY when you have a week left. Promoting your campaign is HUGE. Your campaign could be absolutely gorgeous, but a lack of promotion will make it fail. 3. It's OK to Fail! LEARN FROM IT! I hate to admit it, but I have failed. No one likes to admit failure. However, the great thing about failure is what you learn from it! You learn why it didn't work out and you try again! Never give up! I hope this story will help you succeed. So, after my first Kickstarter, I decided to try a second Kickstarter campaign this time I tried 2 pins. It didn't get successfully funded. Why? I tried to offer better and more rewards, but limited myself and my backers in the process. There's a saying, "If it ain't broke don't fix it." One of the most successful aspects of my first campaign was immediately offering high level tiers. However, when I "locked" my higher level tiers due to the higher cost to deliver them, it crippled my campaign. I should not have selected tiers that required a higher level unnecessary cost on my part. Remember, the backers want the pins! I didn't promote my campaign like I should. I know! I broke my own cardinal rule! Part of this couldn't be helped. I had a HUGE influx of freelance work and I also had to take care of my 5-month old son (I'm a work-from-home mom). This is why I stress promotion. It WILL make or break your campaign. Sharing is caring! Share this post by clicking the 'Pay with a Tweet' button below and you'll be able to download my 19-page PDF guide for FREE! Thank you so much! I'd sure appreciate a like or a share! Thanks!